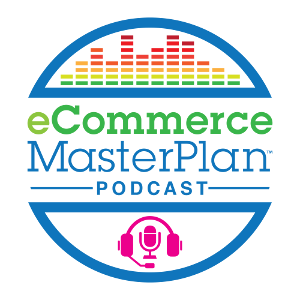 – you’re going to love the eCommerce MasterPlan podcast. Trying to work out how to acquire more customers? Need to improve customer retention? Or just looking for some reassurance you’re on the right track? That’s what the eCommerce MasterPlan is here for. Every week we interview an e-Commerce business person (owner, manager or marketer) with a fascinating insight into successful online retailing. Their business might be a UK mail order retailer, an online only store from Australia, or a brick and clicks business from the USA – but every one of them is doing something we can all learn from. Listen for advice on what to do next, reassurance you’re heading in the right direction and all the inspiration you need to grow your eCommerce business without losing your life in the process! There’s a full list of the podcasts below, or if you’re not sure where to start – check out our Top 10 Episodes. One of “The 15 Best Podcasts That Ecommerce Entrepreneurs Should Be Listening To” Thanks Referral Candy! Podcast 000 – Just what is this all about? Podcast Bonus: Christmas Tips 1 of 3: Should you partake in Black Friday? Podcast 84-5 FE International’s Thomas Smale – to buy or build?